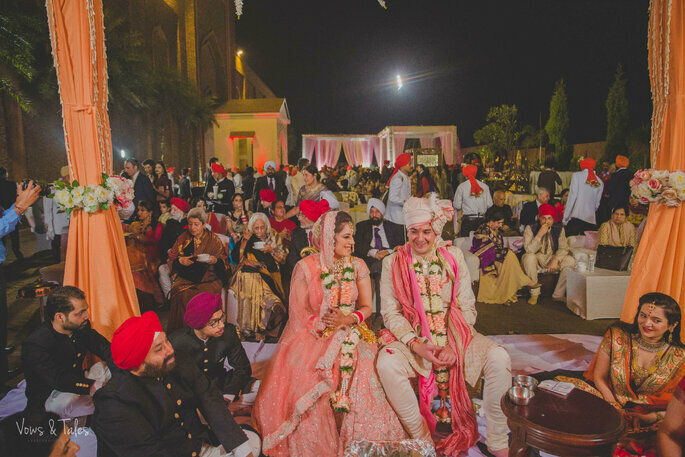 Every bride dreams of having a wedding that would be remembered not just by her and her husband, but also the people who have attended it. Well, Ruhani was no less and had dreamt about the same. 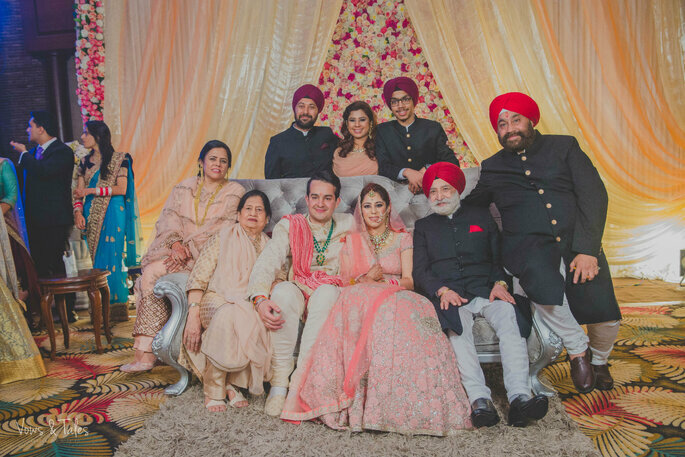 The wedding of Ruhani and Ashim was super amazing and was done in the most amazing and elegant way- just the way it is supposed to be. Everything was on point, and each and every person loved being a part of it. 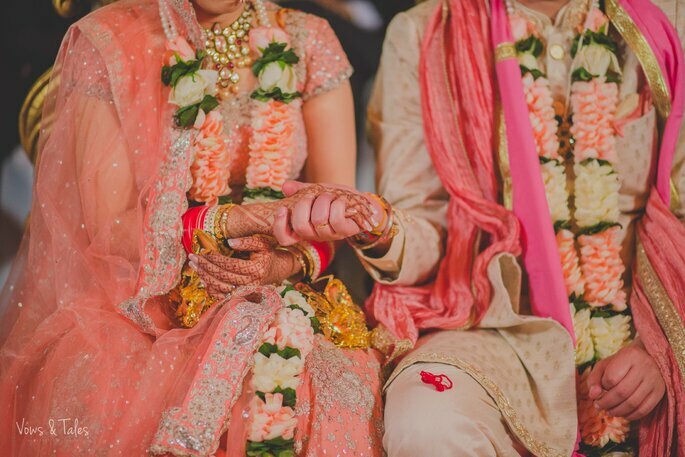 The couple’s wedding was beautifully captured by Vows and Tales Photography! Photo: Vows and Tales Photography. 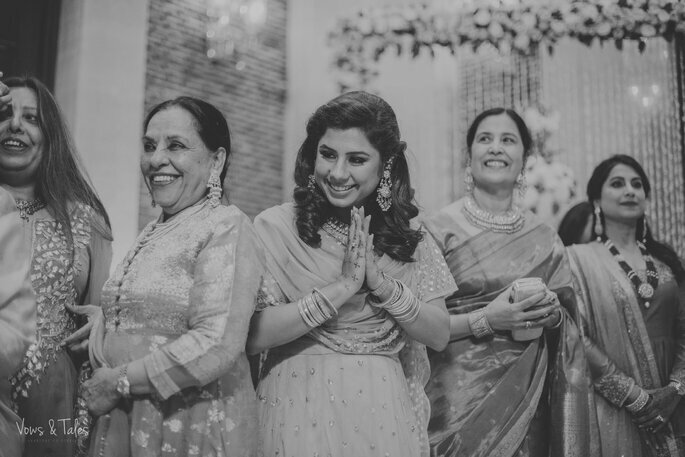 Creating memories is a very special part of any bridal couple’s lives. Who would not want to have the memories of their very special day- the day they tied a knot with each other to start a new life. These small, yet very big moments are really special and must be captured in the most beautiful way. 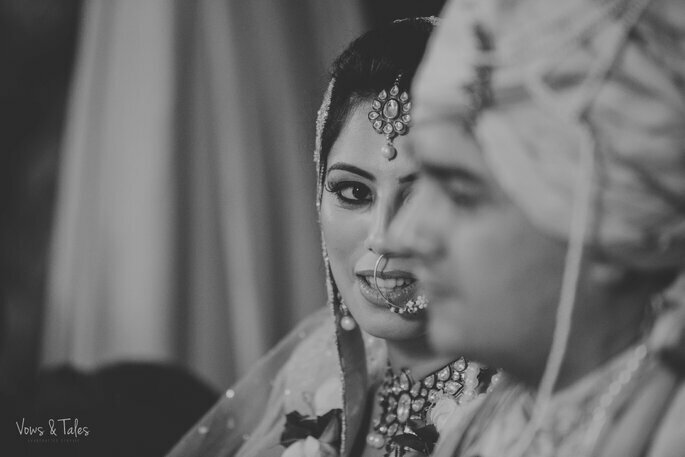 The memories of Ruhani and Ashim were captured beautifully by Vows and Tales Photography! 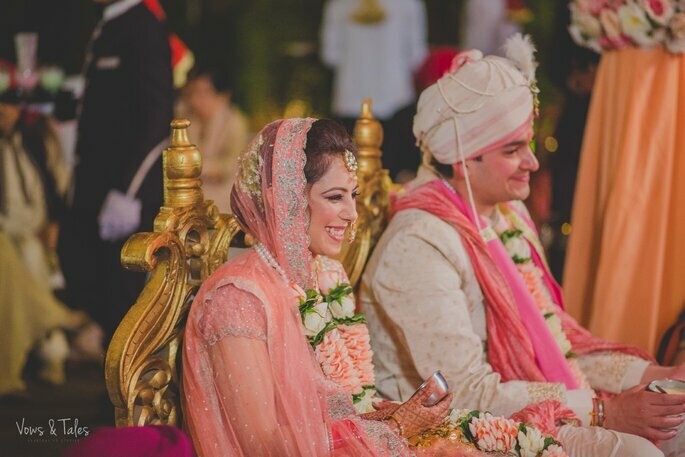 The venue being the most important part of any wedding needs to be chosen very carefully. One must always make sure that there is enough space at the venue to let everyone enjoy themselves freely. The venue must always be chosen keeping in mind the number of people that have been invited to the wedding. Every individual must enjoy each and every moment in the best way, and this can happen only because of one thing- selecting the best venue. 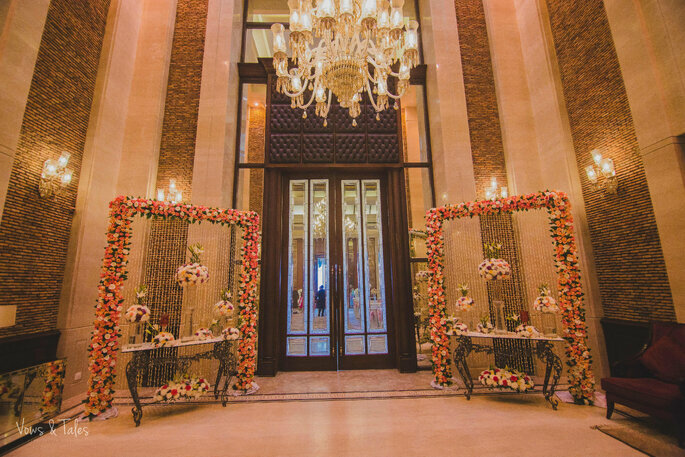 The venues that were chosen for the couple’s wedding and functions were Haveli- Heritage Empress and Kamal Palace! The makeup of the bride needs to be the best thing in the house, as this would make her day even more special than it would have been! 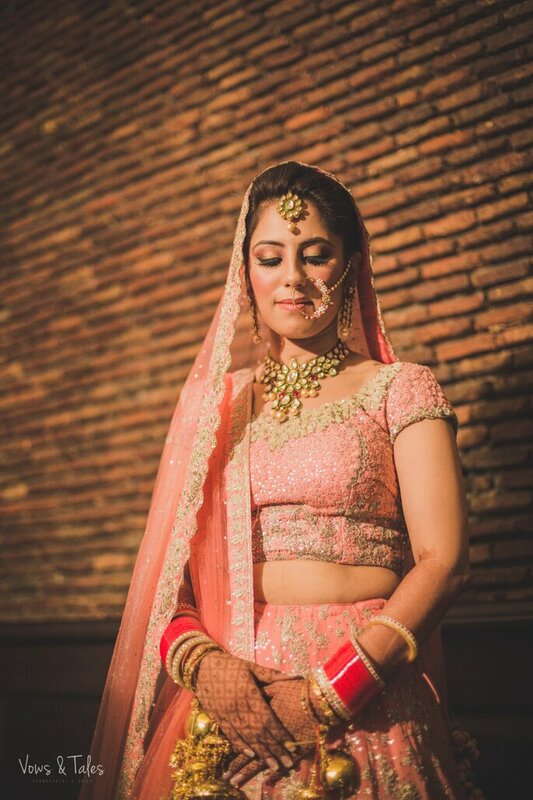 One must always make sure that the makeup of the bride is more than just perfect- this is because, a bride would obviously want herself to look even more beautiful on her wedding day! It should not be anything too much or too less, and is something to be taken care of very sensitively! The makeup artists of Ruhani were Ravideep Dhawan and Jai Babbar, and they had done an amazing work! 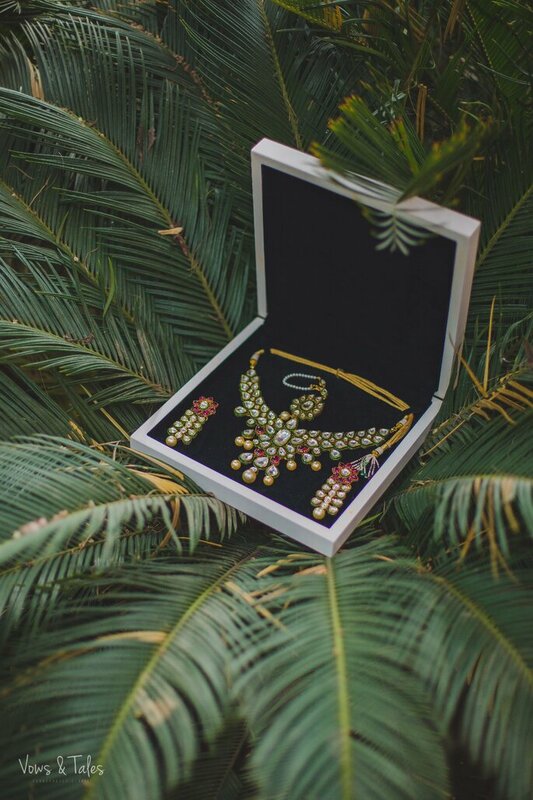 While selecting the jewelry, the bride must always make sure that she has selected the outfit first. Once the outfit selection is done, it makes it very easy for the bride to select the jewelry as it makes it easier to choose the colors. If this is not kept in mind, then there are chances of having a blunder at the last moment, which no one would really want. Ruhani’s jewelry was selected perfectly from Gujranwala Jewellers, and she looked amazing in them! The bride must make sure that the outfits that she is selecting for herself are comfortable enough. This way, she would be able to enjoy each and every moment of the special day, and would create amazing memories on that very same day! 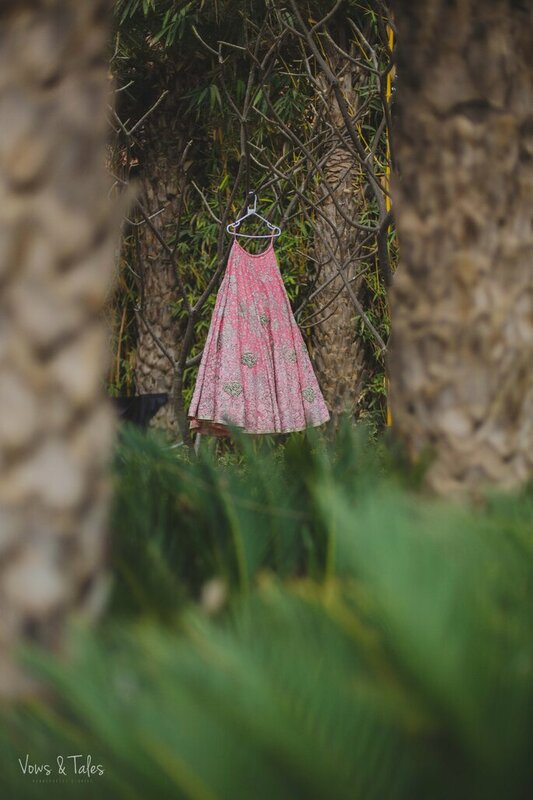 The best way to make sure about the outfit being comfortable is by trying them out and seeing if you are comfortable in them. 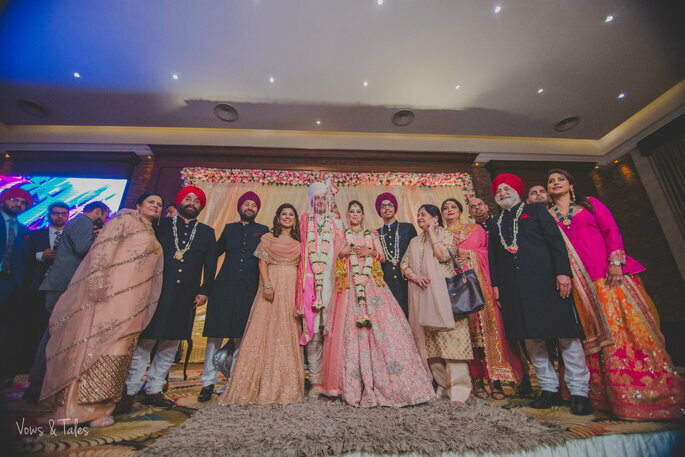 Ruhani’s outfits were beautifully selected by Tamanna Punjabi Kapoor and Dolly J Bridal Collection! 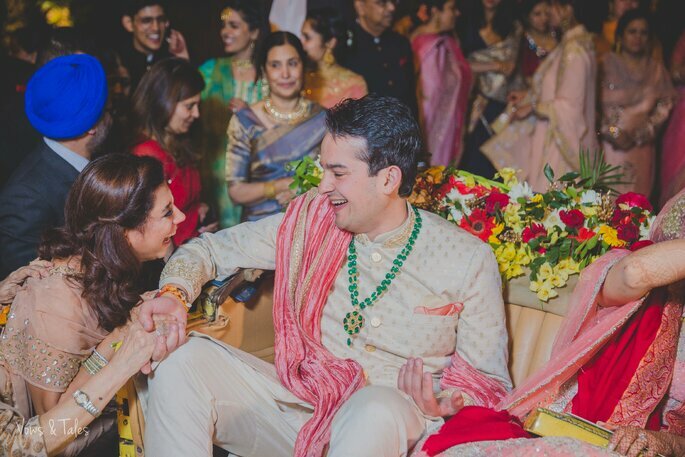 Just like the bride, the groom must also make sure that his outfits are comfortable enough, as there would be no last-minute changes possible. 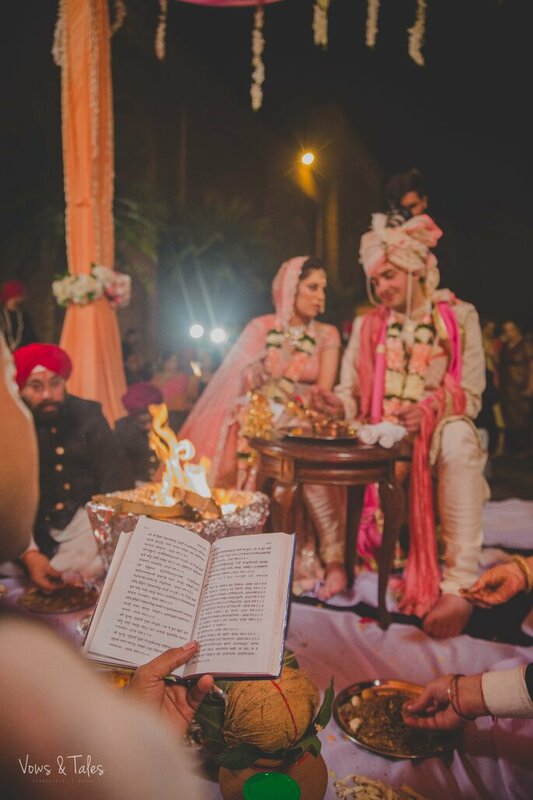 One must know that he needs to stand for a long period of time in order to make the wedding rituals take place. So, one can not really sacrifice on the comfort of the outfit. Ashim’s outfits were chosen from Rohit Sood and Corneliani. 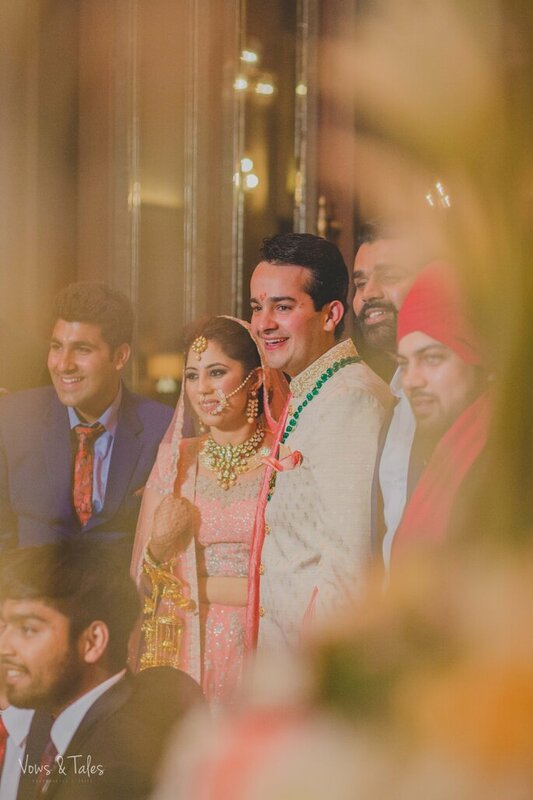 Ruhani and Ashim’s wedding was a huge and grand success and was loved by everyone who was a part of it. They make such an amazing couple, and are adored by everyone! Check out some more real weddings for inspiration!